I've been loving all things Milk Makeup lately. I'm loving their fresh take on makeup, first off I'm loving the packing its so cute and chic. Secondly I love the easy to use design, and finally I'm loving the different array of products that are packaged in such unique ways. 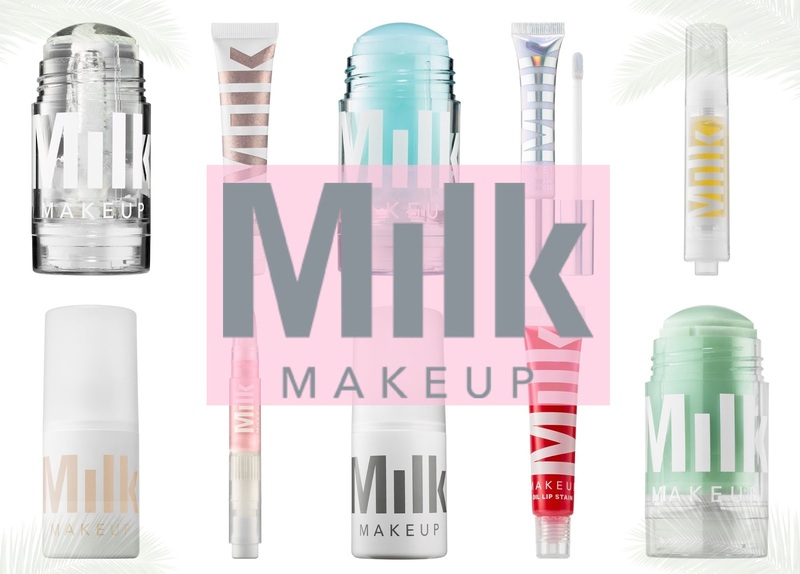 Milk Makeup products are paraben-free, cruelty-free, and vegan. 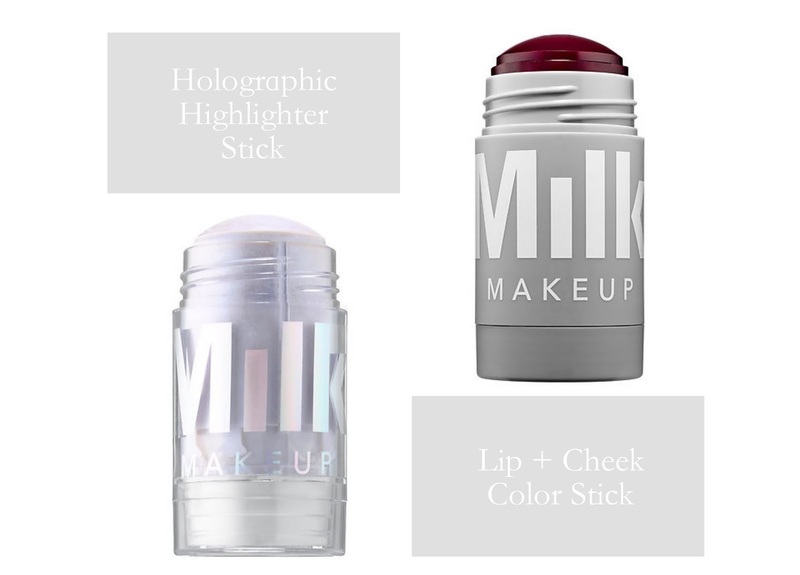 The Milk Makeup highlighter stick is described as a multi-use highlighter that leaves a iridescent sheen and dewy glow. The stick looks like it would be great applied to your eye's and body. The lip + cheek stick can be used as a creamy blendable blush or a buildable lip color. Your supposed to dab the product onto your cheeks or lips for the perfect wash of color. The lip pigment is a matte lip color that can be applied to the lips or even your cheeks. The slim and stackable pot is easy to carry around with you and the lip pigment is infused in oil to help create a weight less feel. 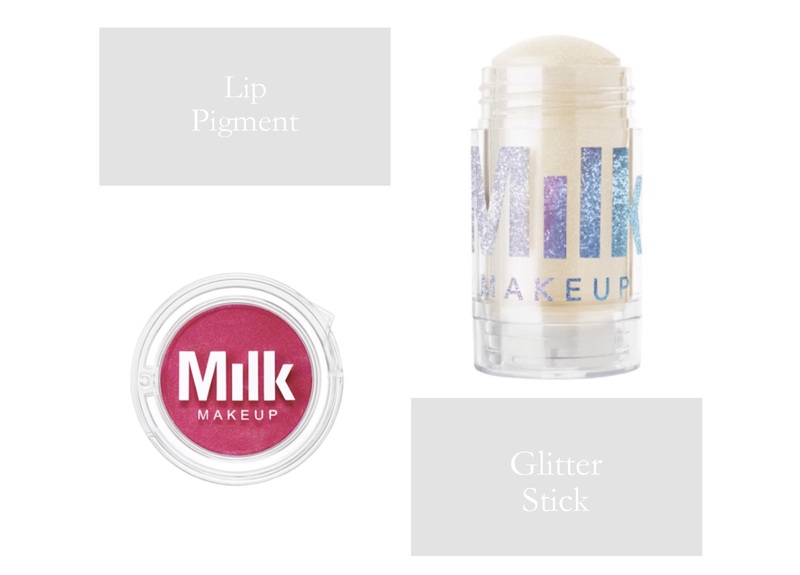 The Milk Makeup glitter stick is made of multi color glitter that you can swipe onto your eyes, cheeks, lips and body for a glitter shimmer. I love the idea of a glitter stick its looks like it would be great to put on your skin when you at the beach or a night out. The blur setting spray is supposed to mattify and help prolong your makeup. After applying your makeup you spray it onto your face and hopefully you makeup can last a little longer. 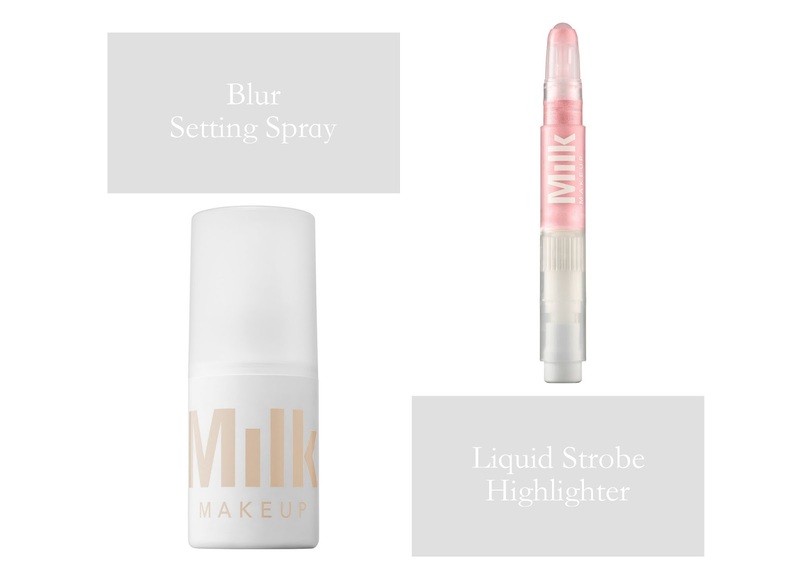 The liquid strobe highlighter is a unique liquid highlighter in a rollerball applicator thats supposed to make for easy application. The highlighter can be used on the cheekbones, eyes and collarbone to help aluminize the skin. 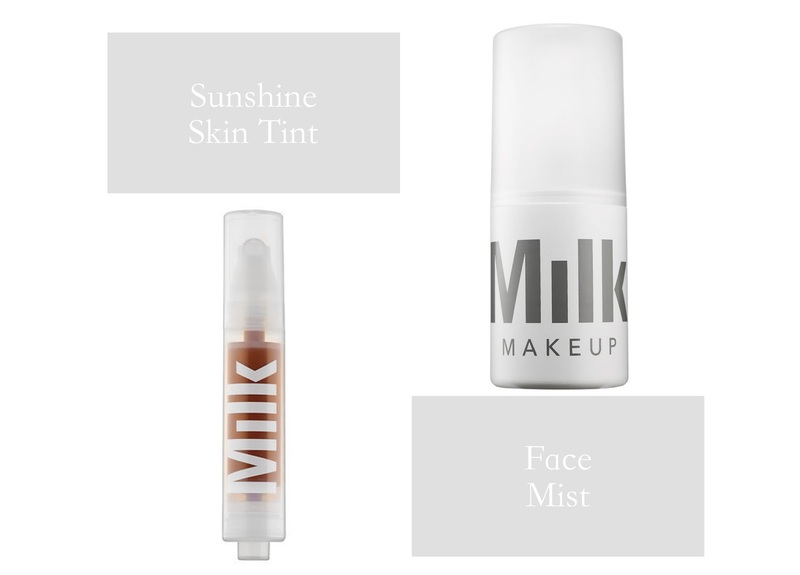 The sunshine skin tint is a light weight liquid foundation that provides SPF 30 protection. The foundation is in a roller applicator that allows for easy blending and build-ability. The face mist claims to be great for all skin types. It's supposed to help with dryness, dullness and redness. The travel friendly face mist should help refreshen and revitalize your skin. 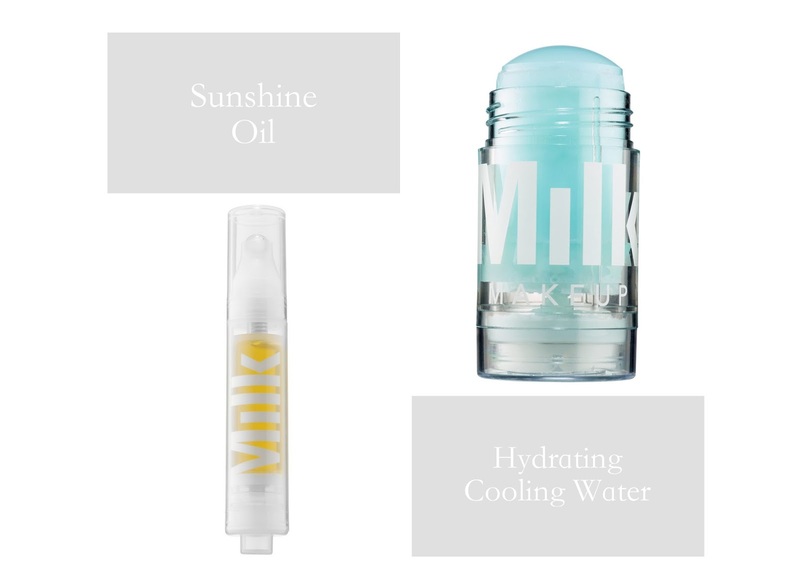 The sunshine oil from Milk Makeup is a body oil in a rollerball pen form. 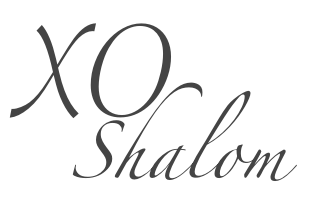 The oil is good for all skin types, you can apply the oil to your face or body to help with fine lines, dryness, dullness, and uneven texture. 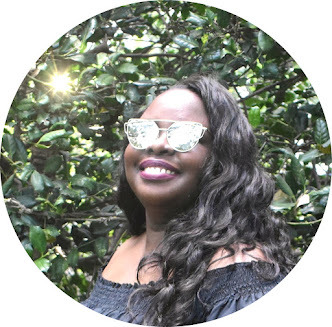 The cooling water stick is a seawater caffeine infused gel stick that is meant to be applied on to your neck, face, or body to help cool you off. I'm loving these two unique and innovative products. The matte bronzer stick is for the face and body and helps enhance your skin tone giving you that sun-kissed radiant look. 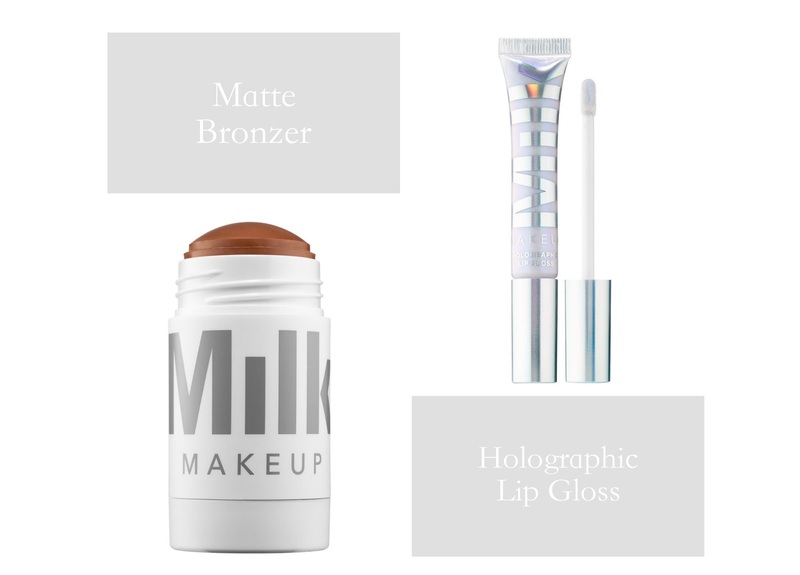 The holographic lip gloss can be worn on its own or can be layered over any lip color your already rocking. The lip gloss looks really pretty, I'm betting it will look good on top of a pink lip. 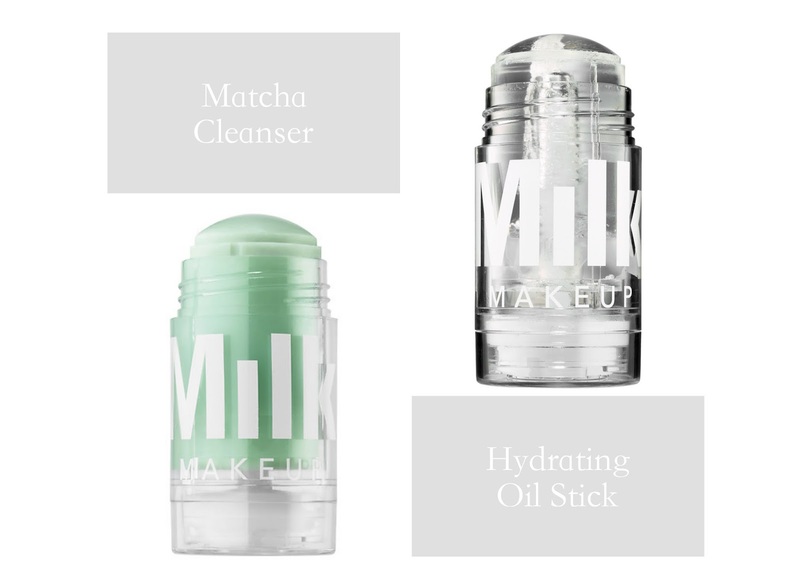 The matcha cleanser and the oil stick are my two of my favorite products from the Milk Makeup line. After removing your makeup you can apply the solid matcha cleanser to your damp face, lather with your fingers, and rinse. The cleanser is sulfate free and soap free, its supposed to help purify, exfoliate and soothe irritated skin. The hydrating oil stick is a oil-infused moisturizer in solid form that is supposed to provide instant moisture and a little sheen with one easy swipe. The oil stick is made of apricot, avocado, calendula, jojoba and orange peel oils. I'm looking forward to giving both of these products a try. 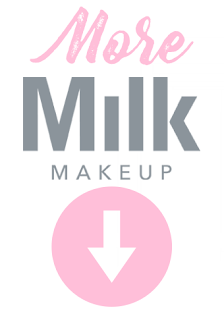 The oil lip stain from Milk Makeup claims to be a long-wearing lip stain that gives color and shine. As a lip stain lover the concept of an oil lip stain is new to me, I'm itching to give this a try. The ubama mascara is made from ubame oak charcoal, it claims to stay all day and not flake. I'm loving the triple ball brush on the applicator that helps for a high volume look. 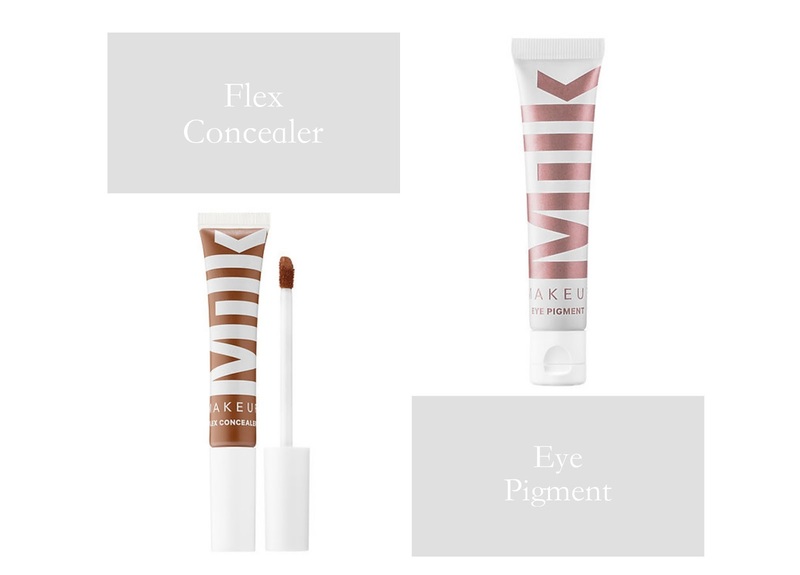 The Milk Makeup flex concealer is a full coverage and long wear concealer thats supposed to help conceal dark circles and blemishes. The eye pigment is a cream eyeshadow thats in a portable tube for easy use when your on the go. The shadow is supposed to be blend easily and give good color payoff.